We’re not satisfied with just keeping the pounds off. We’re going to show you how, with just a little work, you can bolster your favorite hummus dip recipe, changing it into something that can fight heart disease, improve your skin, and make building muscle a whole lot easier. As the online guide to eating healthy on a budget Broke and Healthy details, using olive oil in your hummus dip recipe is key to making the best possible version of this dip. On the one hand, olive oil is delicious, so why wouldn’t you use it? On the other, it’s full of mono and polyunsaturated of fats, both of which have been shown to improve your heart health. If you don’t like the smoother texture of hummus that results from using olive oil, don’t worry. By adding chopped black olives, or any other olive of your choice, you can gain all the health benefits of olives, without worrying about ruining the consistency of your dip. 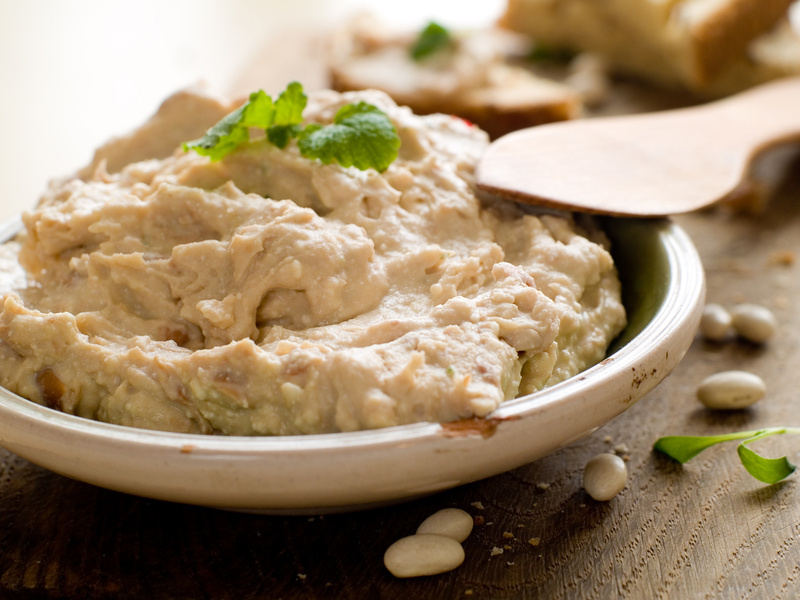 Chickpea-based hummus is well known for its high quantities of heart-healthy fats, but it’s not exactly a protein powerhouse. Spark People, a guide to living better, suggests that you can fix that problem by substituting edamame for your chickpeas. Edamame makes a smooth, green hummus that’s as full of protein as it is full of flavor. Tahini, or sesame paste, is a traditional ingredient in most classic hummus, but for one reason or another, it’s making less frequent appearances in popular hummus brands. If you buy a hummus without tahini or your hummus dip recipe simply doesn’t call for any, do yourself a favor and add a dollop or two of the smoky paste. Tahini is stuffed to the gills with zinc. Not only can this mineral strengthen your immune system, it’s also been tied to clearer skin. Beyond that, early studies suggest that a diet high in zinc can actually help prevent premature hair loss in both men and women. Are there other little tricks you do in the kitchen to make your favorite hummus dips a little healthier? Share those tricks with us in the comments below.